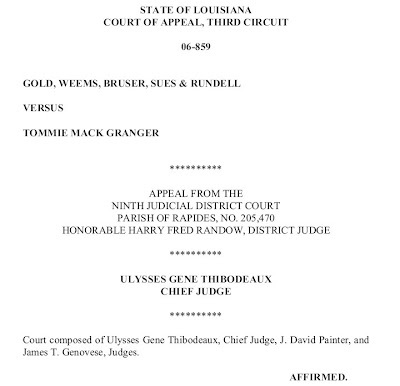 in a ruling that reinforces the notion that louisiana's legal system is dominated and controlled by a few powerful lawyers and law firms the third circuit court of appeals not unexpectantly has sided with alexandria's gold-weems law firm in the appeal of dr. tommie mack granger. gold-weems originally sued dr. granger for $80,000.00 [eur 60,630] for services which dr. granger disputed. dr. granger claimed bill padding and demanded a jury trial. gold-weems then promptly reduced their demand to $49,999 [eur 37,893] in order to avoid a jury trial probably because they knew that a panel of regular people would not go along with their scheme ~ but a bunch of judges would. "judge" randow even went to far as to close the courtroom to the public during the trial and even ruled that the local media the alexandria daily town talk couldnt even publish news of the trial or even consult with their own attorney about his "order." meanwhile, at least 16 people over at the middleton victims website which have alleged the same thing by gold-weems as dr. granger "that they experienced grossly excessive billing and inadequate or incomplete representation in their divorce proceedings." cant even get any relief by way of an investigation from chuck plattsmier and the so called louisiana attorney disciplinary board. the third circuit appeals court even had the gall to fine dr. granger an extra $4,000 [eur 3,031] to pay for gold-weems appeal costs. louisiana's legal system what a joke. 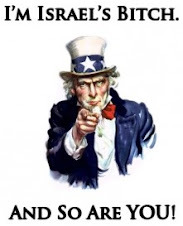 who's protecting us from chuck plattsmier and the louisiana attorney disciplinary board?